Having seen a variety of publicity for Laura Mvula both online and in print, I looked forward to her recent concert at Sage, Gateshead. 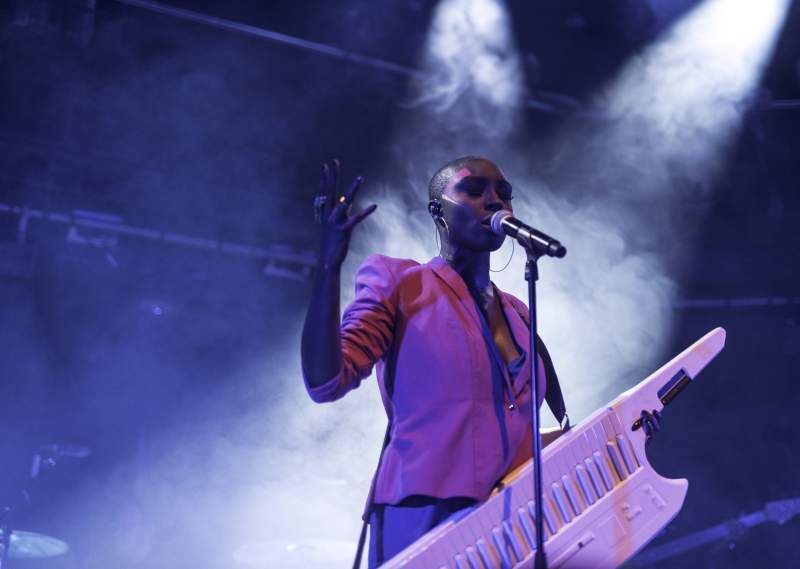 Supported by upcoming artist Sarah Walk, the concert was part of a series of gigs Mvula will be doing across the UK and Europe within the coming months. It also accompanies the release of her second album, The Dreaming Room, to be released in June this year. The Sage provided a perfect venue for the concert; classy yet contemporary, it complimented Mvula’s authenticity and clear love for music. The impressive sound quality also helped showcase the unique sound of her work. Clear and crisp, her sound is pure and undiluted; a fusion of jazz, gospel and soul, creating a sense of intensity and intrigue to her music. It seems that it is this unique sound, which takes inspiration from a variety of music styles, which has put Mvula ‘on the map’ in terms of her place within the music industry. Having previously worked with the late Prince, Mvula’s original roots are in community gospel music. This shines through in her clear vocal ability, evidenced both live in concert and in her albums as a recording artist. Similarly, the supporting artist, Sarah Walk, shared the same sense of originality as the main act of the evening. Brought up in America and a graduate of The Berklee College of Music, she exuded a sense of reserved confidence, winning support from the audience. With an almost androgynous voice, her vocals provided an ideal build-up to the main event, which really helped to set the tone for Laura’s later performance. Sarah was also keen to share her most recent work, and sang her latest release Maybe Someday; one track which particularly caught my attention. Accompanied by two guitarists and a drummer, she also created an element of warmth in her performance, heightened by her relaxed performance style and informal chat within the set list. Fresh-faced and dressed casually, she was genuine and clearly felt at home in her music. Entering through the doors of Hall Two at The Stage, the space was an explosion of sound, a surprising contrast to the tranquillity of the open spaces of the giant structure on the Tyne. This energy was mirrored in the audience, the crowd creating a bubbling mass moving naturally to the rhythm of Mvula’s sound. With the natural rhythms inherent in her music, it was impossible to resist the urge to move to her beat, creating a vibrant yet somehow calming atmosphere. Opening with Overcome, the lead track from her album The Dreaming Room, Mvula’s set was a combination of both her albums, including percussion-heavy accompaniments and acapella numbers. Her outfit – an explosion of colour – comprised of a tailored jacket and bright shorts, yet another example of Mvula’s striking style. Head shaved and makeup minimal (aside from the block stripes of colour across the temples, seemingly a trademark trend of hers) she contrasted many mainstream female artists of today. In this sense, the concert – and indeed Mvula herself – oozed sincerity; a real celebration of original, authentic work in the music industry. In all, the event was a blissful synthesis of sound, combining laid back rhythm and natural lyricism with Laura’s natural performance talent. Supported by Sarah Walk, the main event had a perfect backdrop, warming up its audience well for the evening. Fresh, original, and entertaining, both supporting and main artist shared the same sense of musicality, clearly passionate about their work. Contrasting many mainstream musicians, particularly female acts, both Sarah Walk and Laura Mvula were great examples of strong females in the industry, who have clearly established their own sense of self within their music. In brief, the evening was casual and relaxed; an embodiment of originality, and a celebration of strong, female figures within music. Sarah Walk’s latest single; Maybe Someday is available to download online now, via Bandcamp here. The Dreaming Room, the second album from Laura Mvula, will be available on iTunes, June 17. Her upcoming gigs include Glastonbury, The V Festival and various gigs around Europe. In the meantime, her single Overcome is available via YouTube now. Review printed with kind permission of Cuckoo Review www.cuckooreview.com.